Ganz has announced that they will be releasing a new series of pets to replace the Birthstone Pets in May 2010. These new pets will be based around the Zodiac. The first pet in this line up will be the Taurus Bull. 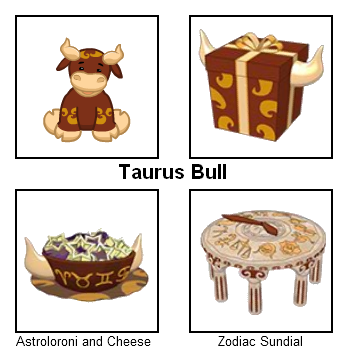 Below are images of the Taurus Bull and its items. Thanks for Two Great Years! Aww, they made the bull cute! I like it! Oh I wish I could afford him he is so cute!